I write a lot about this personal attribute as I, along with humanistic psychologist, Abraham Maslow (1908-1970), believe it to be the highest attribute and achievement possible in the human experience. Signature qualities of a self-actualized person include: realizing one’s full potential; self-fulfillment; self-expression; a striving for personal growth and peak experiences; the search for knowledge and meaning; a basic acceptance of nature, or “the way things are;” and a strong sense of morals, ethics, insight, and self-transcendence. In Karma, I speak of the highest spiritual goals being Self-actualization and re-union with God. That is, the full knowledge and expression of our spiritual individuality–a reclamation of our original, “immaculate concept” in the mind of our Creator–along with the will to free ourselves from karmic ties and earthly attachments in order to be free to make our spiritual ascension. I am currently editing my next work, Ten Difficult Women: Their Impact and Legacy (copyright 2012). When relating these ten remarkable subject women–from different times, places, cultures, ethnicity’s, and socio-economic backgrounds–one thing they all share is their self-actualization: as women and as human beings. As a consequence, each has transcended her personal interests and concerns, felt-needs, and desire for ease and pleasure to make important, lasting contributions to her own society and future generations. Maslow believed that, in order to attain this highest, most fulfilling state of being, we must first find ways to fulfill the four lower needs in his hierarchy: biological and physiological, safety, emotion-based needs of belonging and love, and self-esteem. If you haven’t given much thought to why you sometimes feel “something is missing;” or, that you aren’t giving enough or Being and becoming all you are capable of Being and becoming, you might find his construct and theories both interesting and enlightening. 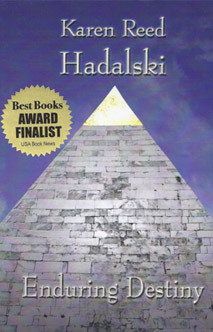 You can obtain a listing of his various books, articles, and audio/visual downloads at: http://www.maslow.com/index.html. * Connect or reconnect with a trustworthy friend whom you can be open and honest with–and who has good listening skills. * Get out of the house or office and into nature. Even a short walk along the shore, in the woods, down a quiet country lane, or in a local park can sometimes be enough to activate the “reset” button. *Drop what you are doing (or brooding about) and focus on your pet for an hour: Play with your cat. Cuddle your rabbit. Take your dog to the park for a game of fetch or a nice, long walk. Groom or ride your horse. Really watch and appreciate the beauty of your pet birds or aquarium fish. * Journal. In other words, talk to yourself about what ails you. Writing down problems and disappointments externalizes them and can be the first step toward understanding and resolution. * Meditate, pray, do yoga, or whatever you do to spiritually center yourself and transcend the mind chatter that is throwing you off-balance. * Listen to good music, wander through an art gallery, visit an arboretum. Immerse yourself in beauty. *Borrow a kid for the day. Play, have fun, and soak-up some of his or her youthful exuberance. * Begin and end each day with an inspirational thought, prayer, or meditation. There are many “daily meditation/thought for the day” publications in print. Two such magazines are: The Upper Room (non-denominational Christian) and My Daily Visitor (Catholic Christian). Perhaps the three most detrimental attachments on my list are: things, memories, and habits. Just think about how much time and effort materialists put into earning the money, or ingratiating themselves to others, in order to acquire all the things they think they need to surround themselves with in order to feel successful, secure, and good about themselves. Then, how much more time and effort is wasted on keeping all that stuff clean, shiny, showcased, and in good running order. (And, of course, authentic, lasting feelings of security and self-worth can only be generated from within, anyway.) Can you imagine the good that could be achieved if such a person exerted the same amount of energy, and spent even a fraction of the money it takes to acquire and maintain a lot of useless stuff, to selfless, philanthropic endeavors? Attachment to memories of times long ago, people long gone, and events that occurred decades ago is another waste of time. I have known people whose “reality” consisted of yellowed photographs, dog-eared letters, and sentimental reveries of a past that probably exists only in their imagination, instead of living, learning, growing, and contributing to the Present. It is easy to become stuck in the past when so much attention is focused upon it; and, as a result, to fritter away the most precious commodity available to us–TIME. The mantra:” BE Here Now ” could be a useful antidote to such wistfulness. Habits, I’ve read, can even outlive one’s physical life and keep a departed soul earthbound in order to continue on with them. Spiritual teachings frequently talk about “entities” which hover around people who indulge in their previous, earthly addictions–like smoking, drinking, gluttony, and specific sexual activities. Their attachment to certain habits and sensations enjoyed when in embodiment continues to be so strong that these overshadow everything else–even the desire to ascend to higher, purer spiritual realms. I guess this is why liquor stores advertise “Wine and Spirits” for sale! Attachment to relationships which are no longer harmonious, uplifting, or compatible with one’s current sensibilities, life goals, and values can go beyond deadening to become depressing and destructive. This is especially true in certain adult child to parents, parents to adult child, and dysfunctional marriage situations. Clinging to such inappropriate relationships can almost always be traced to psychological dependencies, fear, laziness, or strict conformity to social expectations and an overwhelming desire to “look good” to others. A tie to geography is yet another stultifying and, it seems to me, unnatural attachment. We are born and raised where we are born and raised because our parents chose to live in that place. Once we evolve into mature individuals, our unique interests, climate and cultural preferences, career, and independently formed friendships should naturally steer us to the most appropriate location for us to thrive in. Finally, long-ago formed ideas, beliefs, and the desire for particular outcomes should be re-evaluated, discarded, updated, or replaced at regular intervals and when it feels natural for us to do so. As my favorite essayist, Ralph Waldo Emerson, states: “Consistency is the hobgoblin of little minds.” It is also unnatural to our growth and evolution. Don’t be afraid to grow, move, learn, change, evolve. When you do, you become as a clear, lively, babbling brook. When you don’t, you risk becoming like one of those still, stagnant, smelly puddles off to the side. During each 4th of July, my thoughts turn to our nation’s and the world’s warriors. What are their personal qualities? Why do they choose such a vocation? Can one with a warring mentality be a spiritual, high-minded person, as well? Since I tend to view the latter as being peaceful, centered, and internally motivated, to believe that one can be both would seem a contradiction in terms. 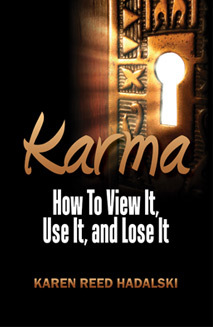 However, while writing Karma, I gained new and different insights. 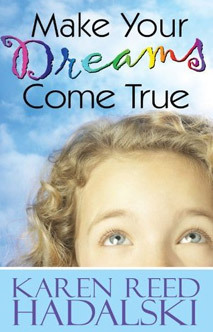 One section of the book features interviews with and profiles of people who believe in reincarnation and karma, and one of those written about is General George S. Patton, the distinguished U.S. Army General from WW II. I only included him because I wanted to provide a broad sampling of people from diverse backgrounds and occupations and remembered him as one who openly discussed these beliefs. While researching his background, I learned that he came into the world with past-life memories intact, innate talents and skills, a self-perceived knowledge of his soul’s purpose, and an extraordinary drive to fulfill it. He “knew” he was meant to become a great soldier as clearly as he “knew” he had fought on numerous battlefields throughout a series of past lives. Patton clearly believed his destiny was to continually be born and die a warrior. And, his prolific writings seem to indicate that he understood “destiny” to be the result of uniting one’s personal will with the will of God. I had a hard time entertaining Patton’s view that it could be God’s will that anyone should actualize and perfect him/ herself a “perpetual warrior.” This reluctance emanated from my personal bias against viewing war as a noble endeavor or acknowledging military types as the highest expression of humanity the world has to offer. Yet, I also felt moved to delve more deeply into this bias. When I did so, I bagan to recall the many portrayals of warriors in religious literature, myth, legend, and history. For instance, Archangels are Principal angels. One of the nine orders of celestial attendants of God, they are pure spirit and have never descended into human form. Archangel Michael has forever been depicted as an armored, sword-wielding warrior, and there are many biblical references to God’s “army,” “legions,” and “hosts” of angels. Several revered saints were soldiers, including St. Louis, the Crusader King of France; St. George, the dragon-slaying Christian Knight who is the patron Saint of England; and the visionary soldier and martyr, St. Joan of Arc. Many godly men of the Old Testament were men-of-arms, including King David, Samson, and Joshua. There existed religious-military orders, such as Knights Templar’s and the institution of medieval knighthood–the Age of Chivalry–which refers to combatants of courage, valiance, generosity, courtesy, and gallant behavior on behalf of society’s weakest members–especially women. Many of the friends and acquaintances I interviewed discussed their views about war and soldiering in thought-provoking ways, as well. Most noted a distinction between types of and causes for wars, noting that, though generally pacifistic, they would enlist for battle in wars being waged for causes they believed in–such as those which prompted American involvement in WW II. Others noted that if it became necessary to defend themselves, their family, their country, or their freedoms they would willingly enlist. Still others stated they would enlist only if every possible effort had been exerted to resolve differences and injustices and had failed. One noted that Jesus said, the greatest expression of love is one who gives up his life for his friends; and that those who truly believe in a cause, and perish in defense of their comrades or innocent civilians, might be expressing ” a very high form of love.” Another feels that, if one does engage in battle for what they believe to be a just cause, he or she should look to the Bhagavad-Gita for guidance and strive to perform their duty with the “detachment” this holy book describes. Much to think about. And, when combined with the selfless, heroic stories and motivations of the many wounded troops interviewed on television yesterday, I think it is time to let go of my long-held bias and admit that warriors can, indeed, be spiritual, high-minded, and engage in battle. Have you ever wondered what the difference between feelings, instinct, thought, and intuition is? Events of this past month have caused me to do just that. Our sweet old dog, Serena, has been experiencing painful eye, nose, and gland problems. After a couple bouts of antibiotics and eye drops didn’t work to resolve these issues, her veterinarian began to speculate about possible underlying causes (including a cancerous tumor) and recommended an invasive diagnostic test which would have been painful, expensive, and require general anesthesia. In addition, she suggested I take her to an opthamologist. I listened, discussed, researched, thought, sought other opinions–and prayed. Though I certainly wanted to resolve Serena’s problems, the speculations and recommendations proffered by her vet, except consulting with an opthamologist, just didn’t feel right to me. To make a long story short, in spite of my “better instincts,” I called to make an appointment with the internist who would perform the dreaded test. Fortunately, he was out of town. I then made an opthamologist appointment. As it turns out, our girl has a severe case of “dry eye.” Her ducts can no longer produce tears and this, in turn, affects her nasal passages and glands as well as her eye. Though she will require eye drops and a food additive the rest of her life; and, if left untreated, could lose her sight, this is a manageable condition and a far cry from cancer. The opthamologist and her diagnosis “felt right” to me, immediately. After one night of prayer to St. Francis (I definitely believe in prayer) I woke up with an intuitive certainty that the problem was with her eye and was being exacerbated by allergies. Without seeking approval, I began to give her Benadryl and made an appointment to have her top coat shaved, which always alleviates her worst allergic symptoms. The eye specialist agreed with these decisions, explaining how pollens and other pollutants are especially painful and destructive to eyes and nasal passages that cannot produce a protective barrier or flush these out. This is what I was reminded of by this experience: NEVER IGNORE YOUR INTUITIVE PERCEPTIONS; NOT EVER! Every single regret I’ve experienced in life has been the result of over-riding my intuition with intellect, “feelings,” or simply ignoring it. “Feelings” are produced by the physical body–which generates “instincts” in order to survive. These “instincts,” guided by “intellect,” produce “feelings.” Therefore, feelings are bound by time & space, and are, like the intellect, a product of the physical brain and materiality. “Intuitive Perception,” on the other hand, is above and beyond the confines of time and space. It emanates from Spirit and will always remain pure and clear. It speaks to us through that “still, small voice within” which, though always active, is often ignored. Unfortunately, most of us don’t hear this voice until a strong emotional surge– brought on by extreme grief, suffering, or joy–pushes through the crust of intellect or cloud of emotional feelings and allows it to be heard. The goal of most spiritual practices is to put us back in touch with our Immortal Self–through prayer, contemplation, meditation, and discernment–so that we will once more be able to recognize and connect with our Intuitive Perception. I can’t think of a more valuable self-gift than to learn one of these disciplines and practice it on a daily basis. True disciplined, conscious visualization is one of the most powerful means of bringing one’s wishes and desires into physical, tangible manifestation. You can learn about this discipline from many sources. To me, the clearest description is given in Ascended Master teachings, which can be studied in detail via the works of Madam Blavatsky (Theosophy), Alice Bailey, Mark & Elizabeth Clare Prophet’s Summit University Press books, and the works of Godfre Ray King. Step 1: Develop a very clear, detailed idea of a definite plan or desire to be fulfilled. And, be absolutely certain before going any farther that your desire is honorable, constructive, worthy of your time and effort, and harmless to every part of creation. Also, be sure that your motive is honest–toward yourself and the rest of the world. Be sure there is not the slightest unspoken feeling that you would be “okay” to benefit at the expense of another. For, if you do, the results will be far from what you desire, and the Law of Karma will take over. Step 2: Write your plans out with as much clarity and detail as possible. Step 3: Close your eyes and “see” within your mind a mental picture of your desire and plan in its completed, perfect form and activity. FEEL the emotions attached to it. Step 4: Read your written words as many times during the day as possible and, especially, just before you go to sleep at night. Step 5: Do not discuss your desire or the fact that you are visualizing with anyone. Do not even talk out-loud to yourself about it. To do so significantly weakens and diminishes the level of energy generated by your visualization. Step 6: Do not allow any thoughts or emotions of fear and doubt to touch your pure-intentioned visualization. These are simply emanations of the human brain and psychology. Replace these at once with the conscious acknowledgement and decree that your soul– your Self–is One with God. Finally, let go of any expectation or demand of a set time at which results must come to fruition. “Time” is nothing more than a tool used to order things in the material realm. In Spirit, there is only NOW–the Eternal Present. And, as you know, your true Essence is Spirit, not matter. One of the most powerful barriers to living a spiritually centered and peaceful life is the unwillingness to forgive one’s self and others. We’ve all done things, said things, or acted in ways we’ve later come to regret. And, we’ve all had to suffer through and come to grips with negative, hurtful things done to, said about, or inflicted upon us by others. There is nothing positive to be gained from hanging-on to residual regrets or self-recrimination. Once realized, the only actions we can take to correct our misdeeds are: apologize to the one we’ve hurt; try to make amends; or, if our actions included gossip, slander, or half-truths which damaged another’s reputation, acknowledge and correct these words in a public way. Every great spiritual teacher reminds us that psychic assassination is every bit as devastating as physical murder–both to the victim and to the soul of the perpetrator–and that justice WILL be served, either through the corrective actions of the offender or by way of the exact and perfect Law of Karma. Where forgiving others is concerned, I’ve always found the platitude, “Forgive and Forget,” to be both ridiculous and impossible. While we can repress, deny, or try to ignore hurtful things done to us, to “forget” them is unnatural and, probably, impossible–unless you suffer from Alzheimer’s Disease. Further, what does “forgive” really mean? Colloquially, it seems to imply that we simply excuse another for the harm they have caused. To me, that always seemed wrong: It ignored accountability and justice and condoned deliberate acts of cruelty. But, after giving the subject careful thought, I’ve come to see forgiveness as a decision and an act of personal power. To forgive literally means that you grant pardon to the offender and cancel a debt or obligation incurred to you by another. To pardon is to release another from liability for an offence. And, not one of these terms implies absolution from guilt. The abuser must experience the effects of his every offence against life: This is the impersonal, infallible Law of Karma. However, you do not have to be the one to mete these experiences out. By taking this upon yourself, you lock yourself into a relationship of resentment and bring yourself down to the level of your offender. If you determine to “get even,” or act in kind, you, too, will have to experience the effects of your actions. When you come to understand and accept the impartial law of cause and effect, you will be able to walk away from relationships that are hurtful with complete confidence that your offender will meet his karmic fate. And, your decision to allow that fate to be resolved without your involvement will free you from any further obligation or attachment to that soul. You will then be free to step out of the role of “victim” and to claim the power of one who has made the decision to forgive. This, in turn, will enable you to resume–with clarity and spiritual/ psychological freedom– the fulfillment of your unique purpose for BEING in the world. In today’s world it is a real challenge to remain centered, calm, in possession of Self, in touch and in harmony with God. Yet, this is what we must strive for and hold as our number one priority if we want to make spiritual progress and attain self-mastery. Throughout history humanity’s greatest teachers have been those who knew how to hold themselves “apart” from the noisy clamor of society and keep counsel with their Higher Self. One way to do this is through regular contact and communion with the natural world. Children are instinctively drawn to nature, as are geniuses, philosophers, artists, and holy men and women. Nigel Calder tells us in Einstein’s Universe that this genius “wondered with an intense, child-like curiosity about the workings of nature and had a very good intuition concerning them…” Albert Schweitzer’s active philosophy of reverence for all life took root in childhood when he and his mother used to wander for hours through the mountains, woods, and lake country of Alsace. Jesus went into the wilderness and Moses to the mountaintop to commune with God. Gautama Buddha experienced his “Great Enlightenment” while sitting under a Bo tree. As for the rest of us, we tend to grow up and grow away from nature. We work in an office; shop in a mall; relax in front of the television or computer; and worship in a church, mosque, or synagogue. In the modern world, being in nature isn’t “natural” at all. It takes planning and effort and travel and time–just to get there. Although we are spiritual beings, we possess physical bodies and brains that are programmed to be acutely attentive to all that is happening around us–programmed for “fight or flight.” Being in the natural world can help us to still and purify our five senses so that they are able to receive and know. A simple walk in the park, woods, or along the shore can help us to clear our minds and purify our senses. You’ll need to leave your headphones at home, though; and, the best walking companion around is your dog. Animals are great teachers. Being with and observing how they interact with their surroundings helps us to shift our attention to the present moment and to experience life with the same intense awareness as we did when we were children. The natural world is instructive. It prompts us to question and helps us to understand spiritual truths, natural laws, and our place in the scheme of things. It is symbolic. And, once we discover the deeper meanings inherent in its symbolism, we discover something about its Creator, as well. Nature’s cycles provide us with a sense of security, hopefulness, and optimism: light always follows darkness; warm, luxurious springs push through cold, barren winters; radiant rainbows appear after the worst storms; and regeneration, in some form, follows even the most devastating of natural disasters. As human beings we are a marriage of both matter and spirit; and, if we are to fulfill what many believe to be our highest calling–Self-actualization and reunion with God–we must come to know both sides of our self, intimately. We need to go into and through that part of our being which is one with the natural world to meet that part which is one with the spiritual world. While angels might minister to our souls; the beauty, harmony, purity, and vitalism of nature can minister to our bodies, minds, and emotions every single day. We just have to be there.